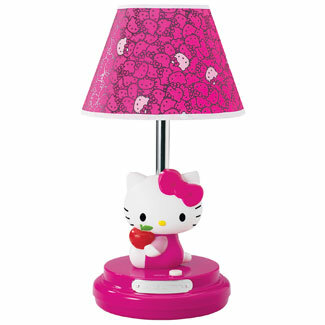 Brighten up any room in the home, office or dorm with this super cute table lamp. 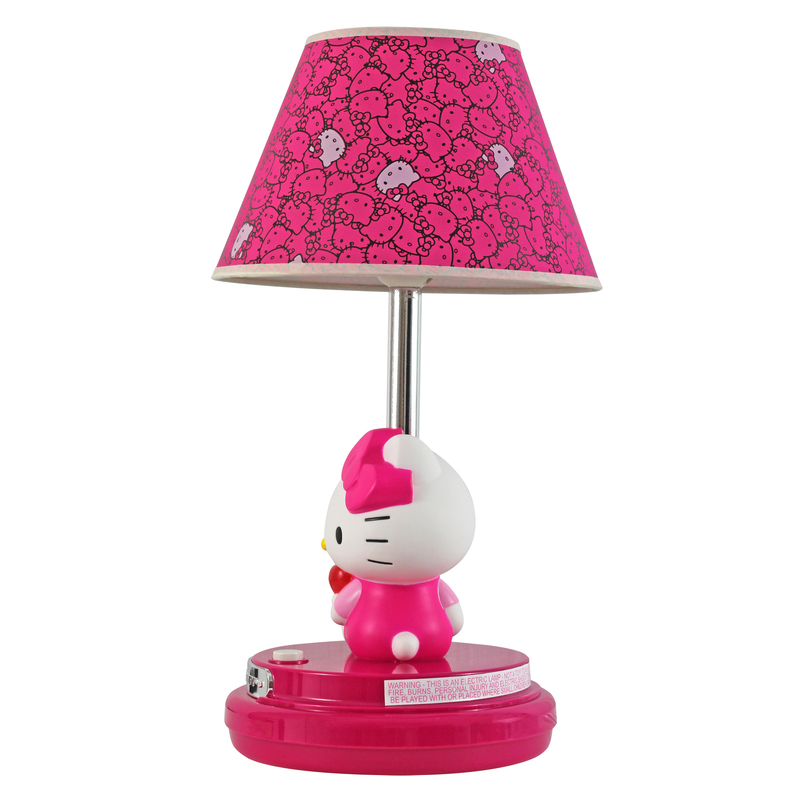 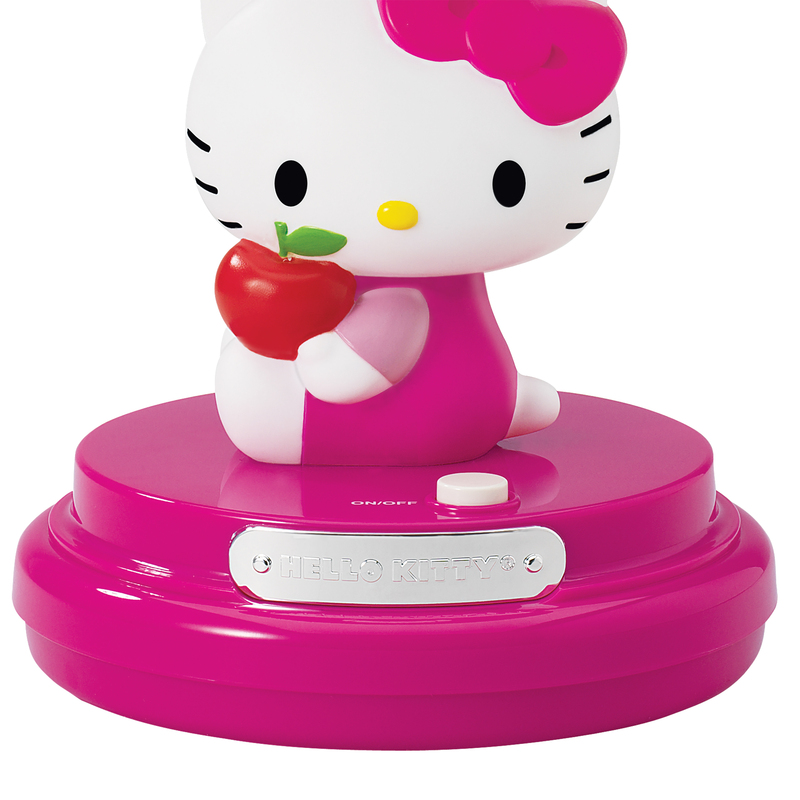 Your affection for Hello Kitty clearly shows by the graphics on the lampshade and Hello Kitty herself on the very stable base, which is padded to protect the furniture. 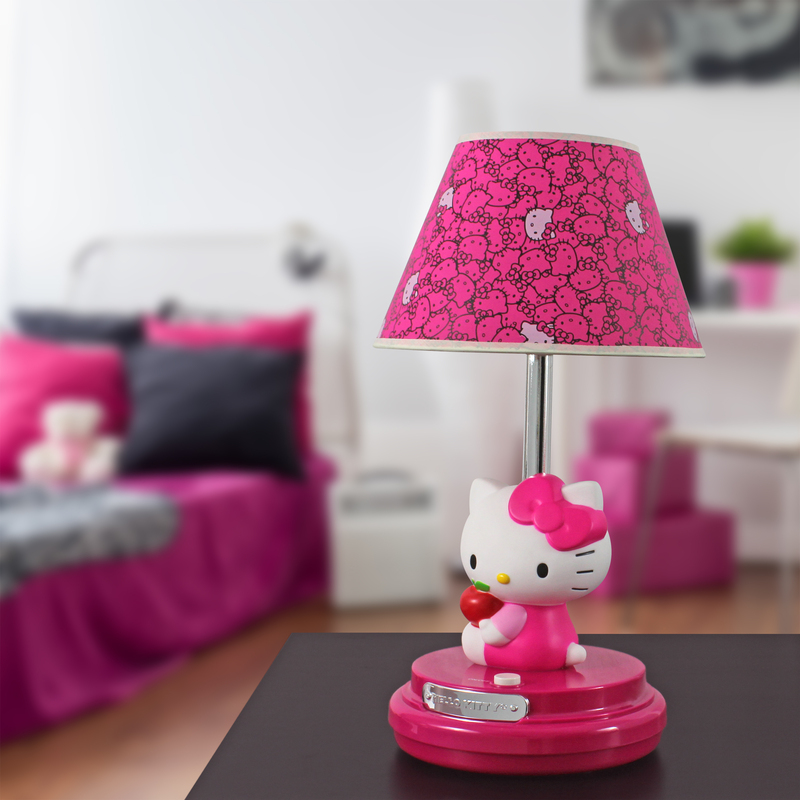 You can use up to a 60 watt bulb, which can be easily replaced without having to remove the lampshade. 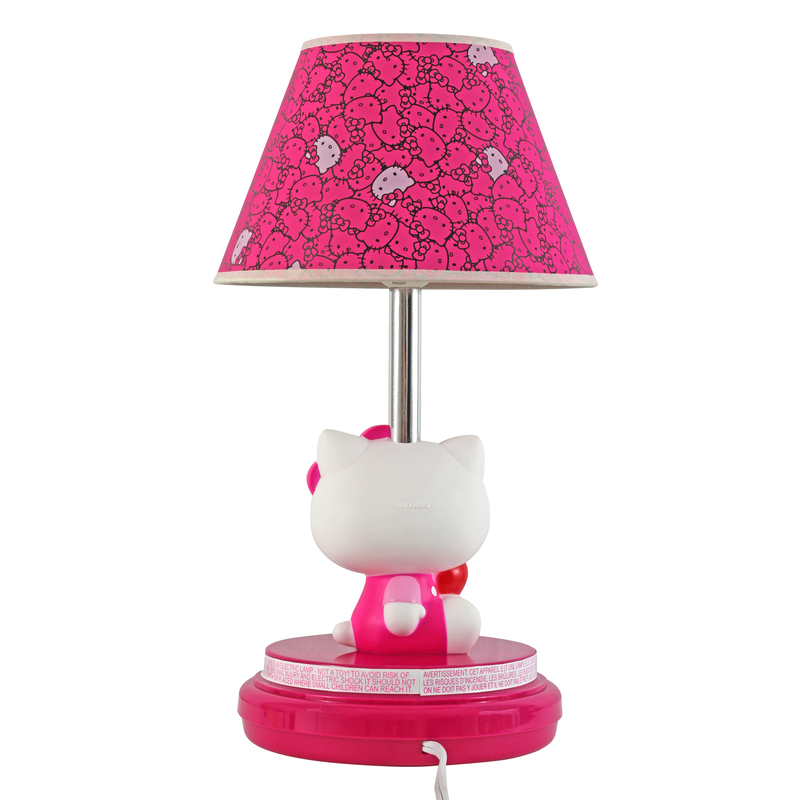 A simple, conveniently located button makes it easy to turn on and off.